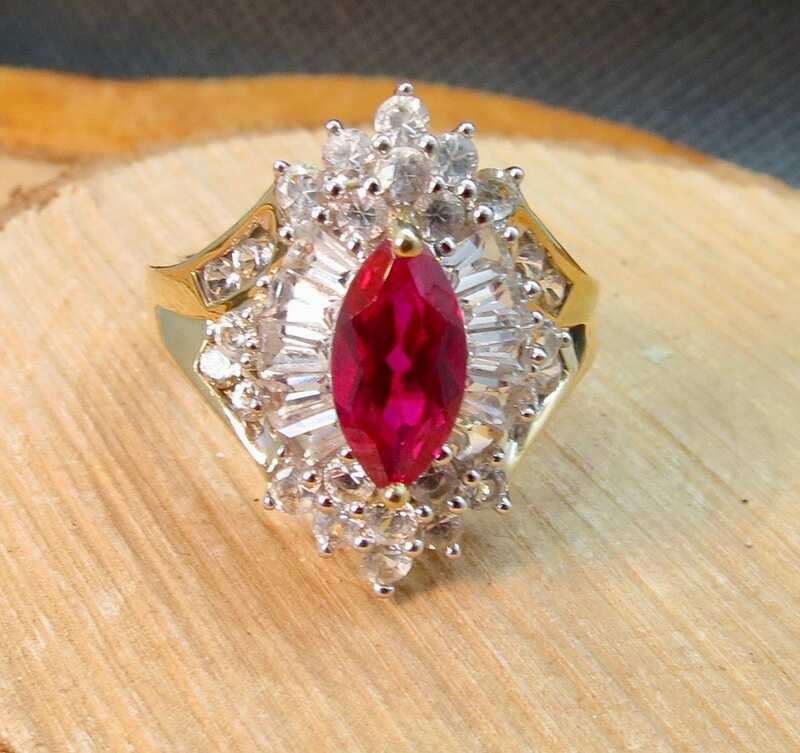 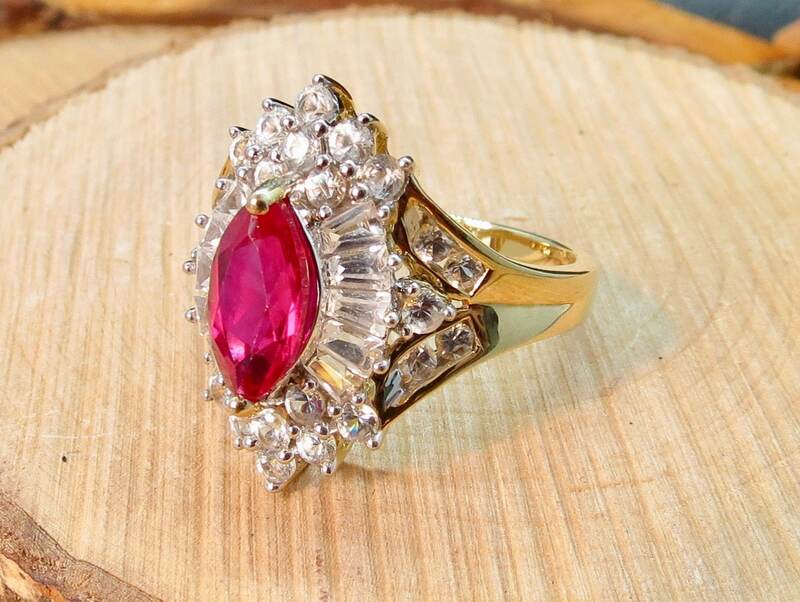 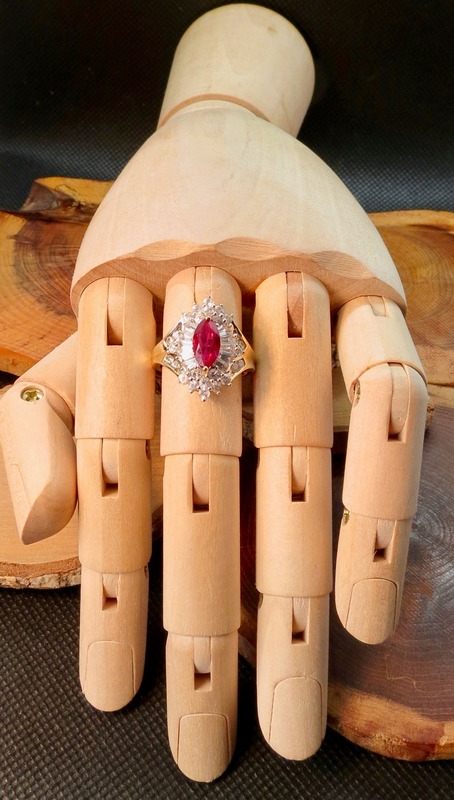 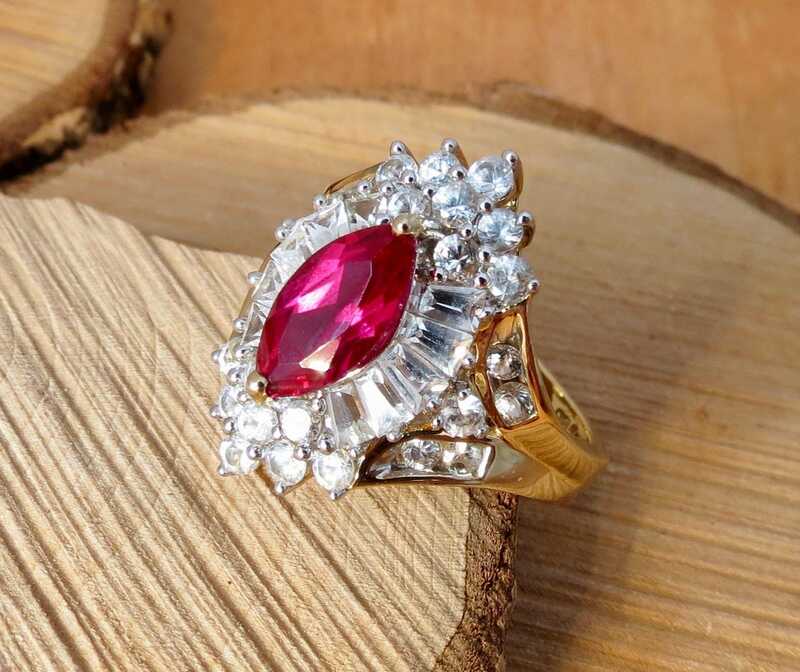 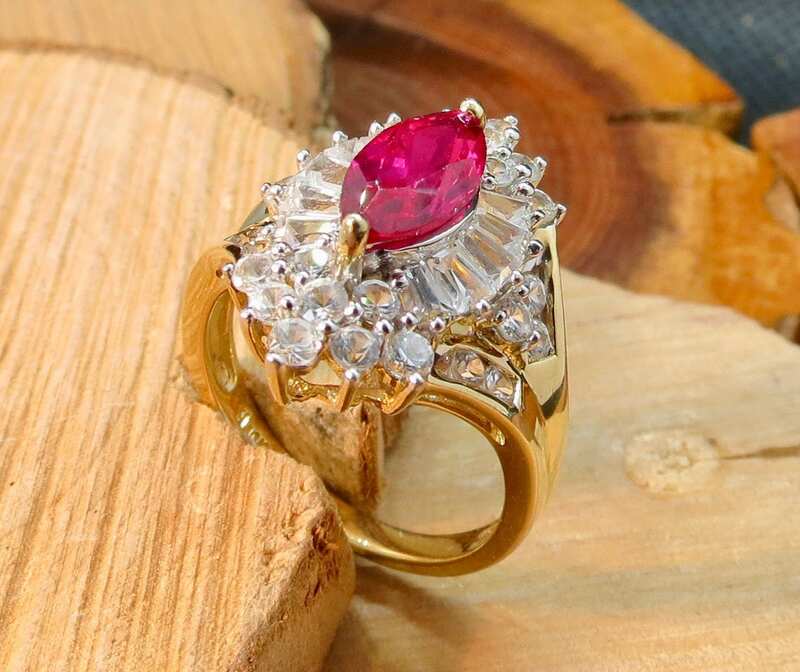 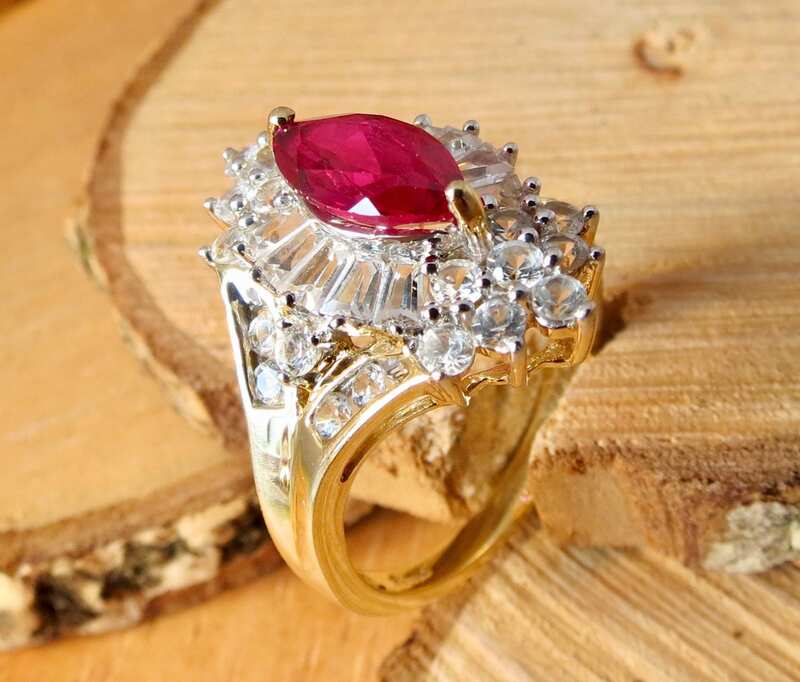 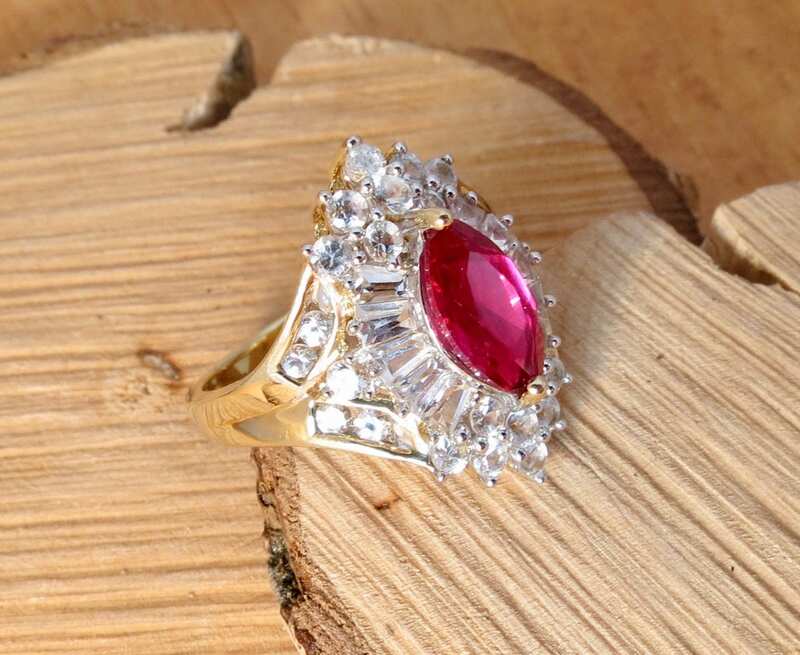 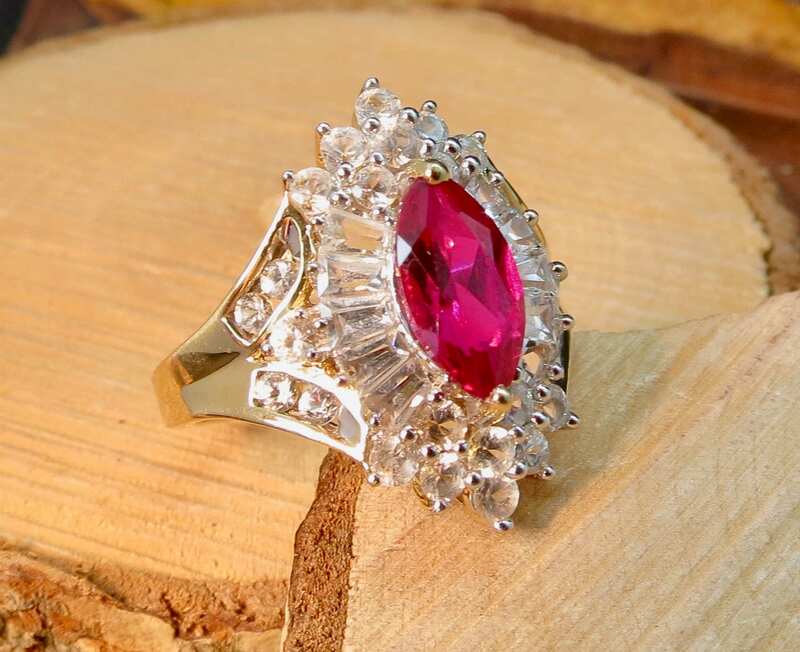 A 10K yellow gold synthetic ruby and white stone ring cocktail ring. 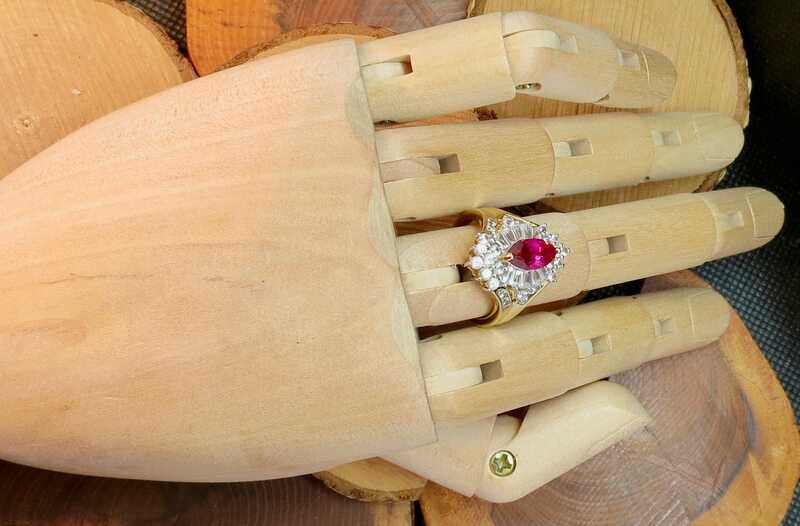 The claw set mount has wide chevron shoulders with further white stone accents that lead to a plain band. 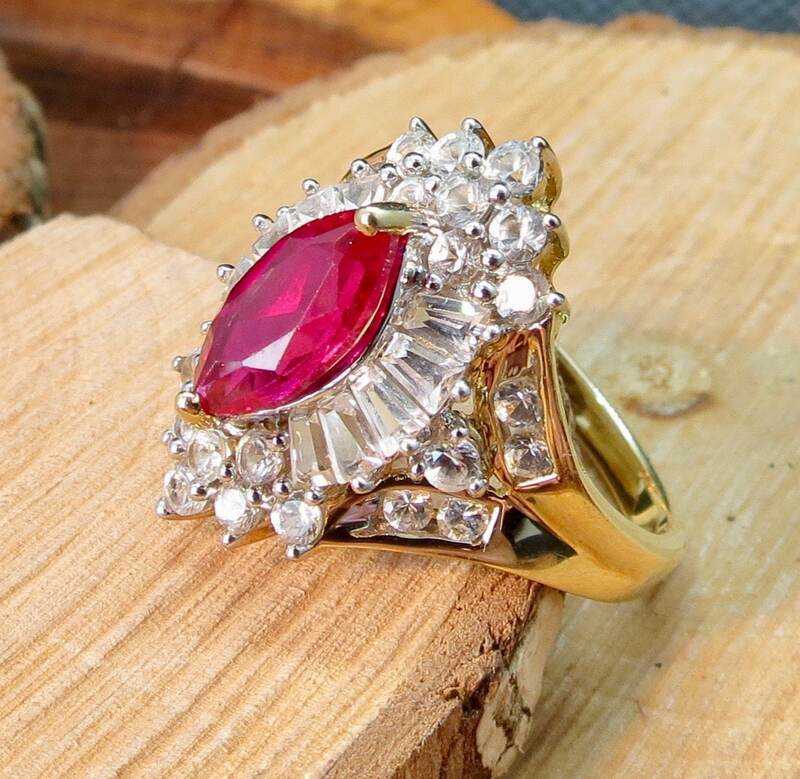 The stones on this ring have a hardness of over 10 Mohs and as such high quality synthetic stones.